Now-a-days smartphones are very common. Everyone is carrying at least one smartphone. 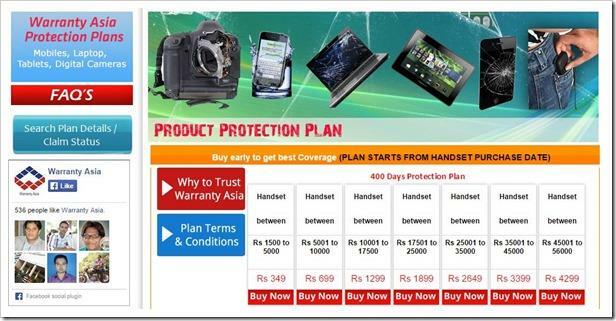 Every mobile company gives warranty for certain period of time. Some companies give mobiles with some special screen guards to protect our phone from any scratches. These warranty plans mostly don't cover physical damages that may happen to mobile. We will be feeling very bad, if we mishandle it and cause such a damage. By considering all these things, some companies are providing insurance plans for mobile phones and gadgets. This is the present trend and I will take you through few good companies which offer such insurance plans for mobiles and gadgets. Syskagadgetsecure has the tag line "Whenever life happens, you remain unaffected". This says it all and what it is for. This is a startup company and provides various insurance services for various types of mobiles and gadgets. They even give solution regarding anti-virus and they also provide you the free home service (Pick up and drop), if you want any mobile repair service from them. All their insurance plans are based on the price of the mobile. Suppose, if the mobile cost is in between Rs. 4000 to Rs. 10, 000, the plan which is available for you is Rs. 599 per year and there are more plans as such. The maximum plan is for mobile costing in between Rs. 25, 0001 and Rs. 60, 000 which is Rs. 1999 per year. They have prepared the list of insurance plans. To get the list of plans, visit website and choose "Policy Document" from "Claim and Policy" tab. Warrantyasia apart from just providing insurance plans for mobile, they also provide insurance plans for all sort of electronic gadgets. They tie up with various gadgets manufacturing companies all over India. This company is based from New Delhi. At present they are considering insurance plans for mobiles and tablets from the below manufacturers. It also includes all other manufacturers who provide one year warranty from the day you bought the mobile or tablet. It provides you the insurance plans with lot of terms and conditions. There is no assistance from the company, if there is any damage to the screen within 15 days from the day of purchase. All these claiming of insurance are also based on the age of the device. If the claim is within 15 days from the day of purchase, then you can claim as the following. 75% on the bill, if the damaged components are repairable. 65% on the bill, if the damaged components are not repairable. If mobile is lost, then you can claim 55% of the cost of the mobile and you need to submit the FIR Copy. You can get more details, by visiting the official website of the company. Gadgetcops are the one which started such type of insurance services in India for Mobile Phones. They provide coverage for theft, accidental damage and other value added services. Every insurance plan will be of 2 years and they provide the repair service of any kind to your mobile. They do not charge you a single penny for service and the company will bear the amount for those repairs. 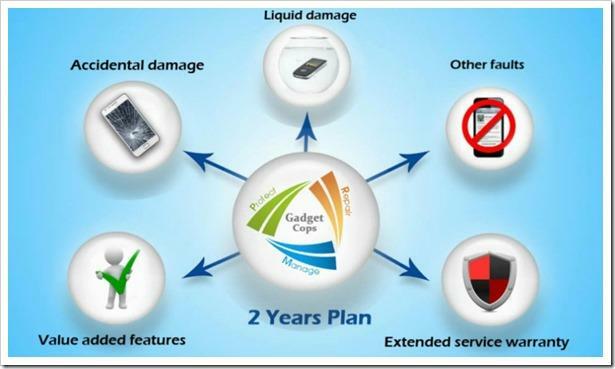 Gadgetcops provide you the "Extended Warranty" scheme, which allows you to extend the one year warranty period which was provided by the mobile company by default to 2 more years. This includes all the advantages of insurance plans which are applicable for mobiles. There are some cases for which claims are not valid. For example theft of battery, memory card, battery and some more, claims are not valid. You can get more information from the official website of the company. While buying any HTC model don't go with Syskasecure gadget INSURANCE. I had came across an issue. Totally fraud company. They will reject your claims by manupulating anyhow. It is the worst serive that I have ever experienced. No matter your claim would be, for theft or water damage, they will cancel your claim by giving reason of negligence. So it is a totally wasted insurance investment. Better to go with any other insurance company. I would recommend you Times Global insurance. I stay in Pune and travel a lot.So I took insurance of my iPhone 6s from Times Global Insurance and got 2 times claim in a single year. I am not doing marketing of this company but yes I am very impressed with the services I got from this company and would surely recommend it. I would suggest you to go for Times Global Insurance. I found this company is dedicated to its customer service and of course best insurance plans in India. I have got an iPhone from Dubai and insured it from Times Global Insurance and last week I got a hair line crack on my iPhone and got 100% claim on time. So I can just say a great Value for Money. Syska is not good for their insurance because they never give the claim. 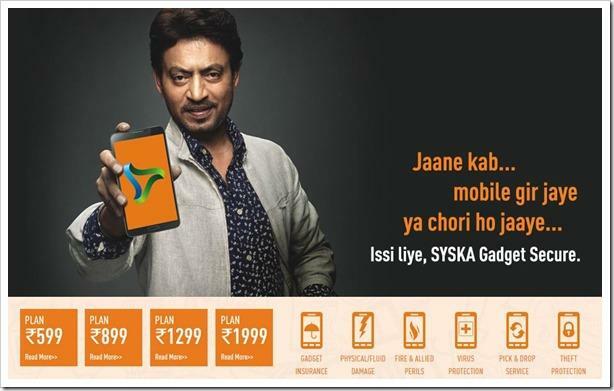 Never buy Syska insurance for security of gadgets. They are fooling everyone with their cheap plans and if you want your phone to be fixed they will take more than a month or many months for just a small problem.